2010FM March Mega Catch Up (Three). A backlog of music to go through has focused my mind somewhat, and I have to say as I set about another batch today, I was all set up to be remorseless with the delete key. Trouble is one of the first bands I checked out was Codeine Velvet Club who have absolutely delighted me, I just love their music, and if you are in 'skip through mode' please at least give these folk a listen! They have raised the bar for this edition so perhaps a few others failed to get a look in as a result however as you will notice plenty of other pretty good tunes have also surfaced. 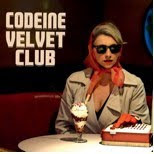 As regards Codeine Velvet Club the new musical project from The Fratellis’ Jon Lawler (AKA Jon Fratelli) and singer - songwriter Lou Hickey, they release their self-titled U.S. debut April 6th on Dangerbird Records. The album is available for digital purchase now. 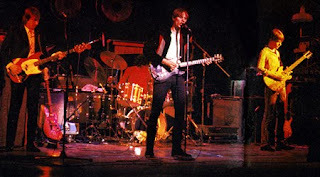 This is Pink Floyd recorded live on the 30th September, 1971, at the BBC’s Paris Theatre, in London UK. Recorded for the John Peel Show, part of the concert was subsequently broadcast on the 12th of October 1971 on BBC Radio One. 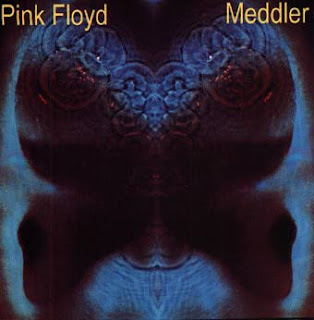 This was the first time two songs from the then new album Meddle were performed for the BBC (Echoes & One of These Days), and Nick Mason's vocal debut in the band is characteristically commented on by host John Peel. The version of 'Meddle' is quite funky and raw in a good kinda way. 'Fat Old Sun' is transformed into something quite special in this performance. A number of CD boots have been circulated down the years including both through 'Swinging Pig' & 'Harvested 'Records'. The Harvested version is complete and is probably the best boot version (from which this is sourced) and was put together from the sources below to become the full concert again. This is a soundboard recording of the Sisters Of Mercy recorded live at Kolingsborg, Stockholm, Sweden, back on the 17th May 1985, and subsequently released through semi official (or at least loop hole in international law specialist label) KTS Records. There are a number of recordings from various gigs from the Trans Europe Excess tour in circulation, this one is possibly the most popular as the sound quality does the band justice, and KTS were pretty good at getting hold of soundboard & stereo FM material. In terms of performance and considering the stresses and strains on the band at this time the performance is spot on, seemingly warming up after the first two or three songs. Set: Edited Set (not far off full gig). 2010FM March Mega Catch Up (Two). 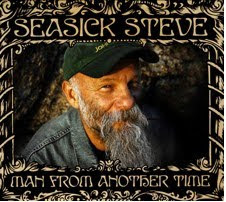 You can accuse me of blatant promotion when it comes to Seasick Steve, in fact I will insist that anyone not already in the know, check him out immediately and hereby order all fans without a copy of his latest album (Man From Another Time) to purchase a copy right now! (OK hopefully you get the point..). Born in Oakland, CA, Seasick Steve ran away from home at age of 13. He spent his adolescence living rough, grabbing work where an underage labourer could find it. By 16, he was busking and starting to become the musician that close to fifty years later emerged as Seasick Steve. Through this journey, his feet took him through Europe, back to the U.S., and then ultimately back overseas.